Do not eat recalled Kellogg’s Honey Smacks cereal. Check your home for the recalled cereal and throw it away, or return it to the place of purchase for a refund. Even if some of the cereal was eaten and no one got sick, throw the rest of it away or return it for a refund. If you store cereal in another container without the packaging and don’t remember the brand or type, throw it away. 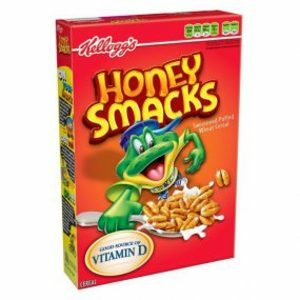 Retailers should not sell or serve recalled Kellogg’s Honey Smacks cereal. Contact a healthcare provider if you think you got sick from consuming recalled Kellogg’s Honey Smacks cereal.